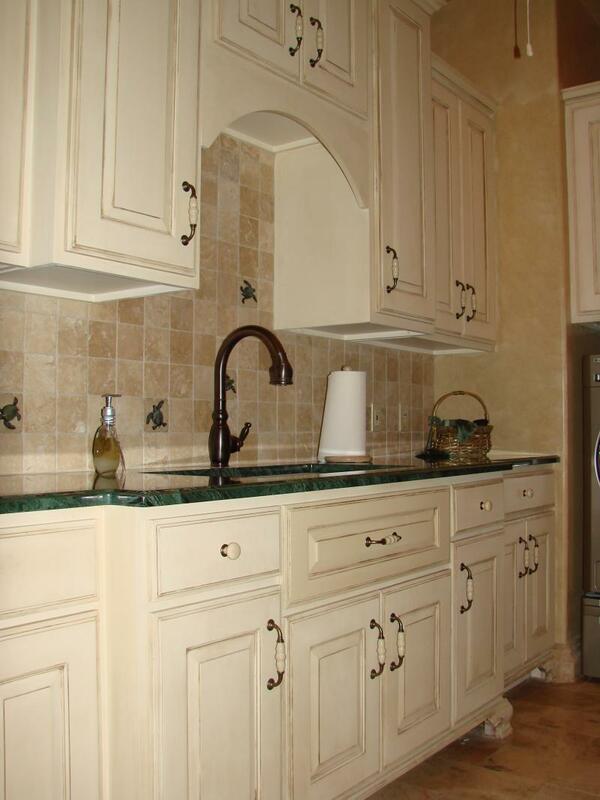 R & R Custom Woodworks - GALLERY Laundry Rooms Old world style cabinets in paint grade material. Old world cabinets with top arch on sink area Linen cabinets old world style Distress finish laundry cabinets with storage under washer & drayer. Distress finish laundry cabinets in paint grade material. Distress finish laundry cabinets from same launry room as pict. above. Launry room cabinets in Alder Laundry room cabinets with broom & mop storage in Alder wood. VANITIES Bathroom vanitie with panels on top, and medicine cabinets on both sides of sink. 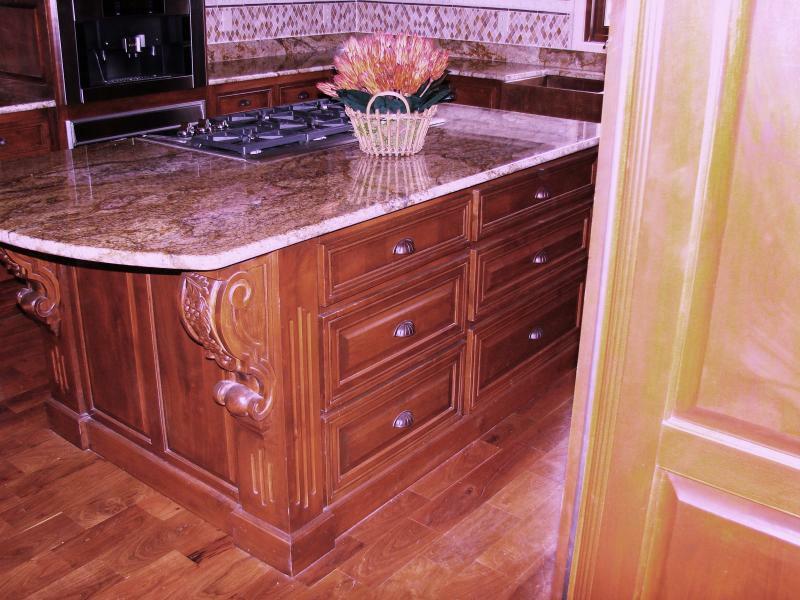 Furniture like Vanitie with custom finish.Vanitie with double sinks. 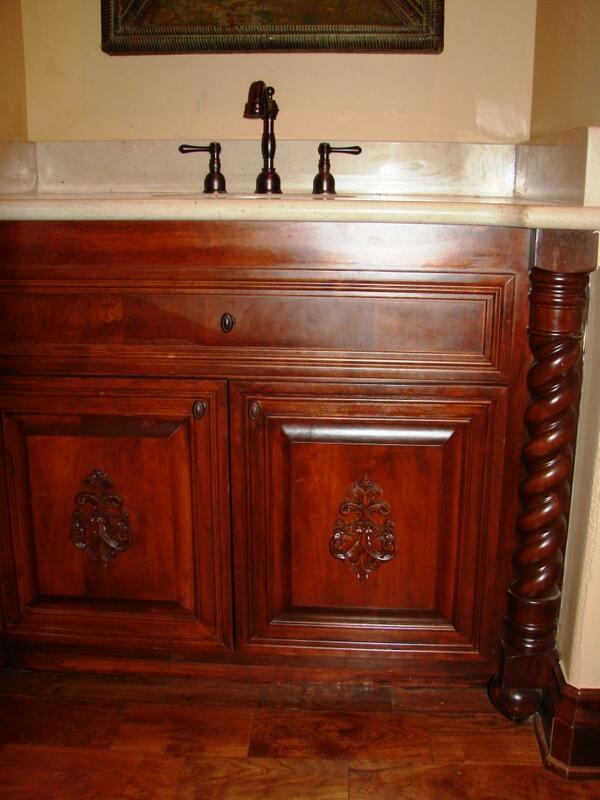 Freestand vanitie with inset doors and drawers.Country style vanity. Vanitie in Cherry wood with decorative legs and doors. Vanitie in Red Oak wood with decorative onlay. TUB PANELS Tub panels built out of Cherry wood Tub panels built out of paint grade material in a distress finish. 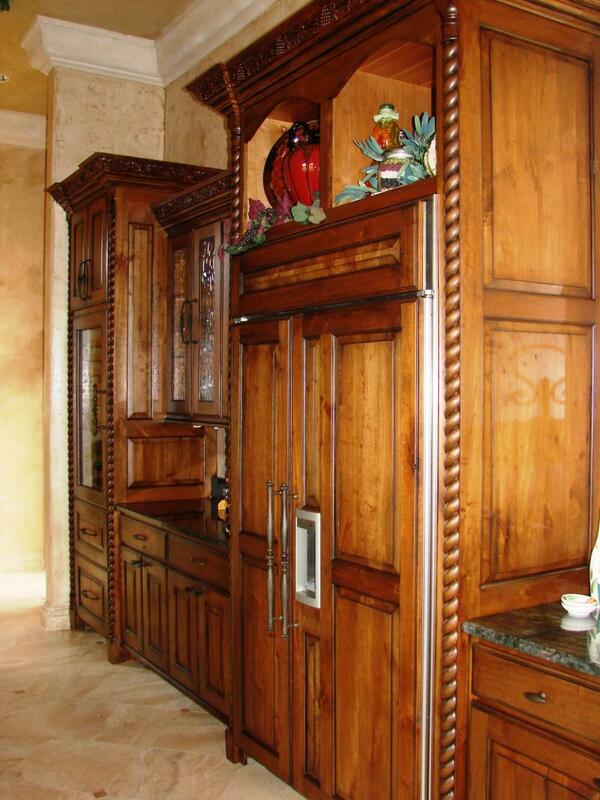 Old world style cabinets in paint grade material. 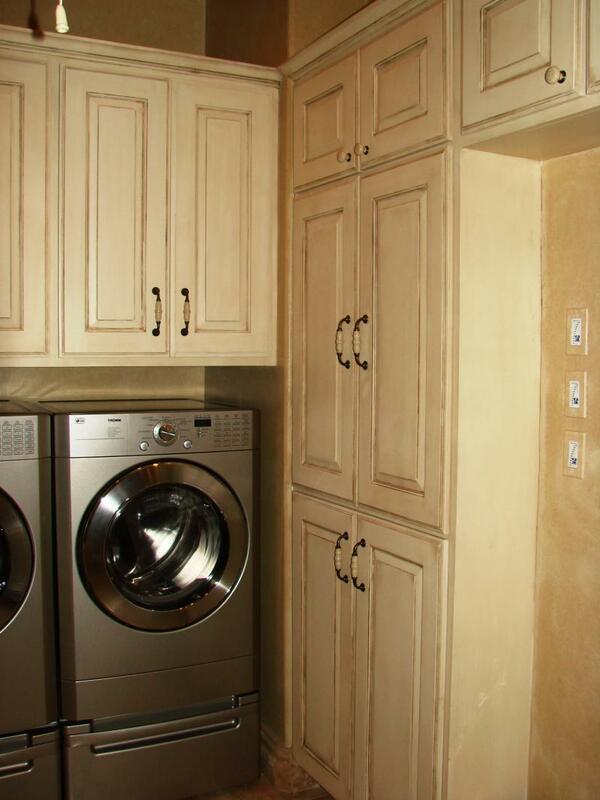 Distress finish laundry cabinets with storage under washer & drayer. 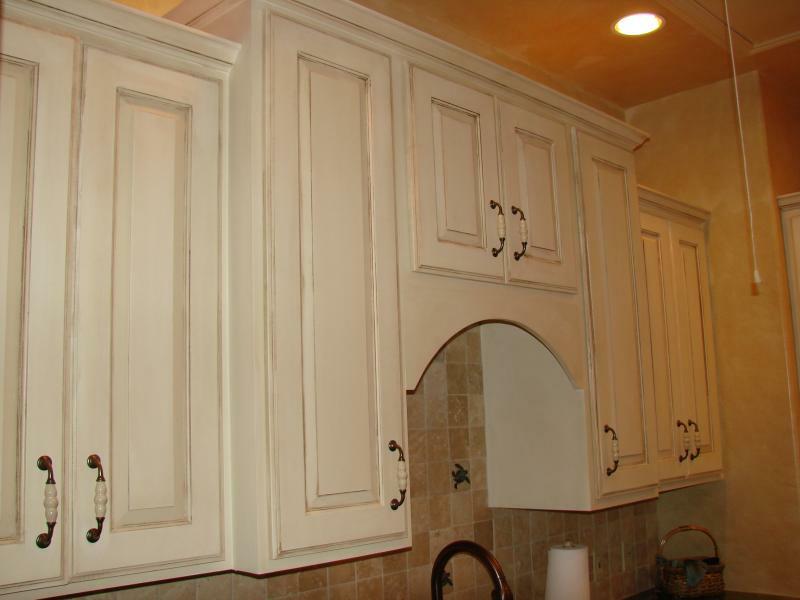 Distress finish laundry cabinets in paint grade material. Distress finish laundry cabinets from same launry room as pict. above. Laundry room cabinets with broom & mop storage in Alder wood. 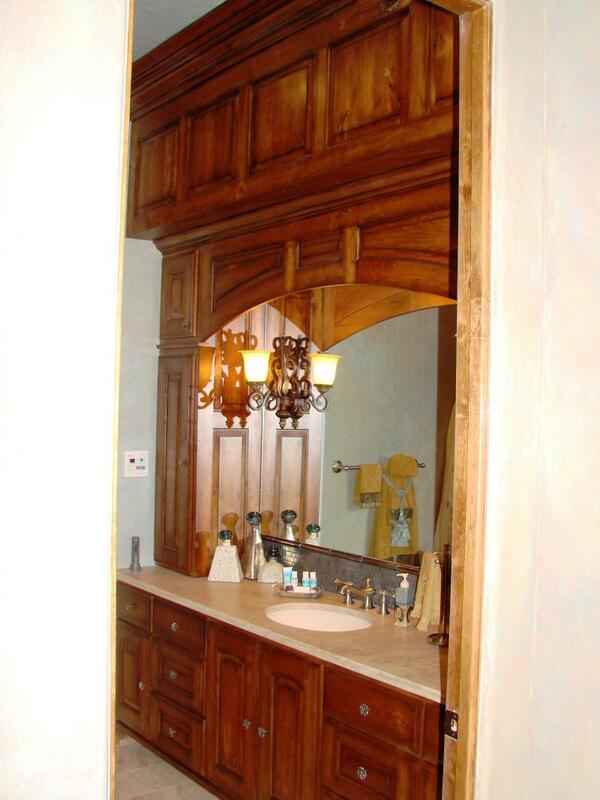 Bathroom vanitie with panels on top, and medicine cabinets on both sides of sink. 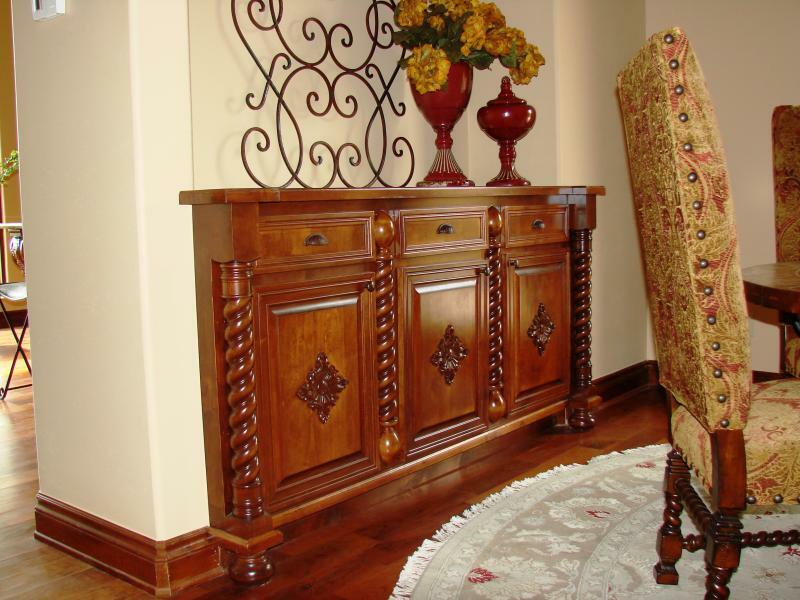 Furniture like Vanitie with custom finish. Freestand vanitie with inset doors and drawers. Vanitie in Cherry wood with decorative legs and doors. 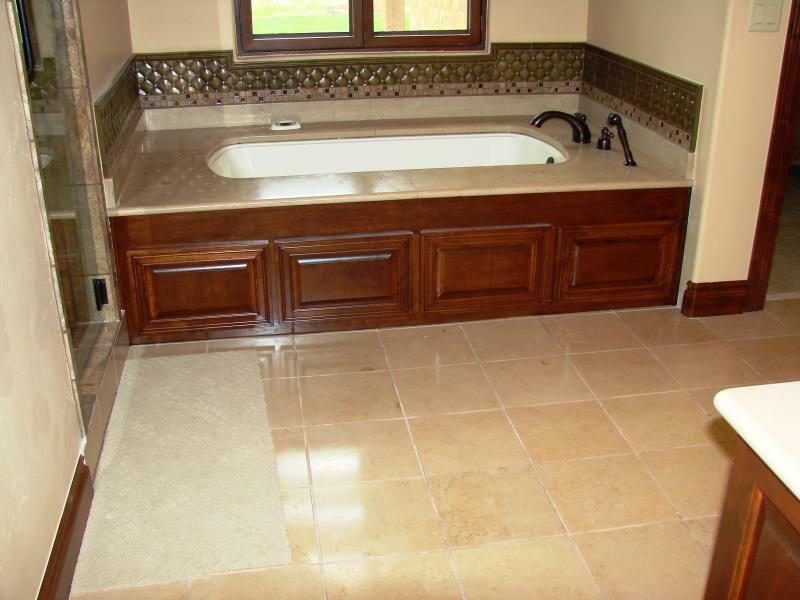 Tub panels built out of paint grade material in a distress finish. 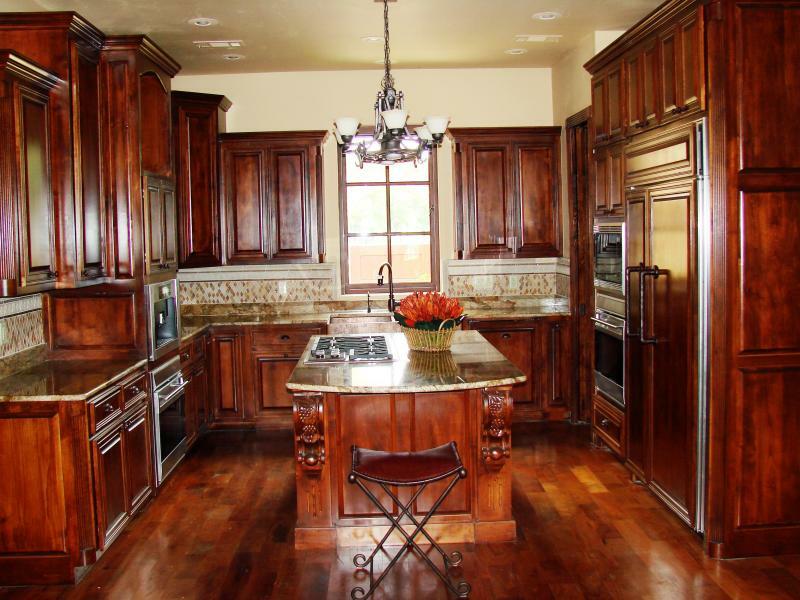 Traditional kitchen in Cherry wood. Kitchen in knotty Alder wood. Contemporary kitchen in Cherry Wood. Wester home office in Knotty Alder. Contemporary home studio in cherry wood. Desk area with open doors. 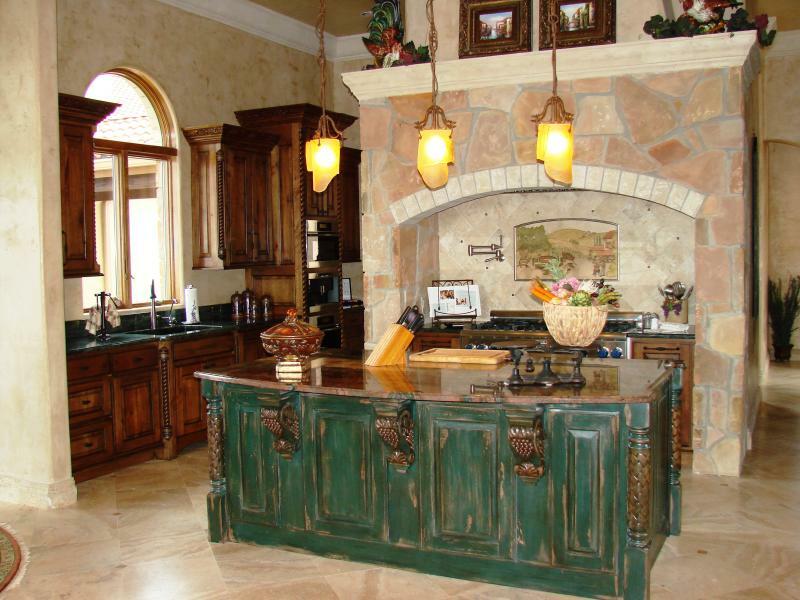 Island with corbels in a distress finish. 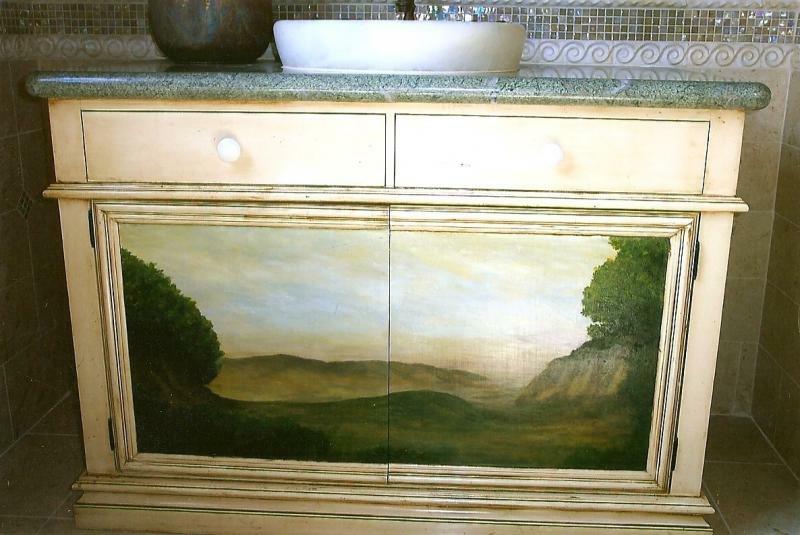 Island in a distress finish with lights under. Same island as picture above from a back angle. Baby changing table in a distress finish. Custom build changing table with top drawer & adjustable shelves . We can customize any finish to match existing baby furniture. Three colors were used,on finish shown on picture. Tray for changing area can be removed when no longer in need. Vanity in a furniture like piece. Spice racks on decorative stove legs. Bottom drawer on sink is a step stool for small children to reach sink. When no longer in need just flip it over and its a regular drawer.